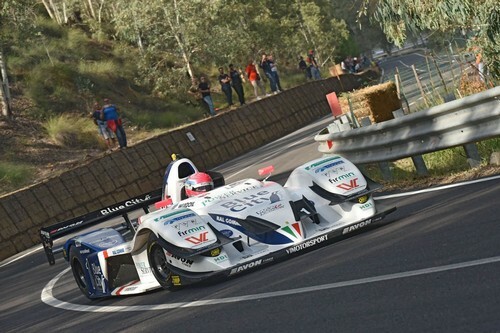 Christian Merli, racing with the Osella FA 30 Zytek LRM, conquers the top step of the podium in the penultimate round of the Italian hill climb championship CIVM, the 64th Coppa Nissena at Caltanissetta in Sicily. Behind him there are Omar Magliona with the Norma M20 FC and Domenica Cubeda with the other FA 30. 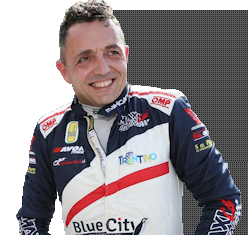 Without even taking the time to celebrate his European championship title, the Team Blue City Motorsport leader has returned to the CIVM, where he has dominated Race 1 at Nevegal as well as Verzegnis, Ascoli, Trento – Bondone, Sarnano, Erice and the Coppa Nissena. He missed Fasano, Morano, Gubbio and Pedavena, which coincided with European championship races. Now Merli is leading the standings with 150 points, Magliona has 142 and Cubeda 129. The event is contested over two race heats on the 5.450 km track. In the first practice session, on a damp surface, the Scuderia Vimotorsport driver finishes first in 1’59”34. Magliona is 0”90 behind, Cubeda 4”92. In the second session, Merli again tops the timesheet, shaving 3” off his prior result, Magliona and Cubeda are 2”73 and 4”49, respectively, behind. Merli dominates in 1’55”69; Magliona is 2”57 behind and Cubeda 4”90. Merli grabs the win, with Magliona 2”42 behind and Cubeda 6”34. 1st Merli (Osella FA 30 Zytek LRM), 2nd Magliona (Norma M20 FC) 4”99 behind, 3rd Cubeda (Osella FA 30) 11”24 behind.